The beginning of the 2017 sailing season and the opening of registration for the Corinthian Classic Yacht Regatta, presented by Officine Panerai, Aug 12 & 13, are upon us. We wanted to alert you to a significant but beneficial change. 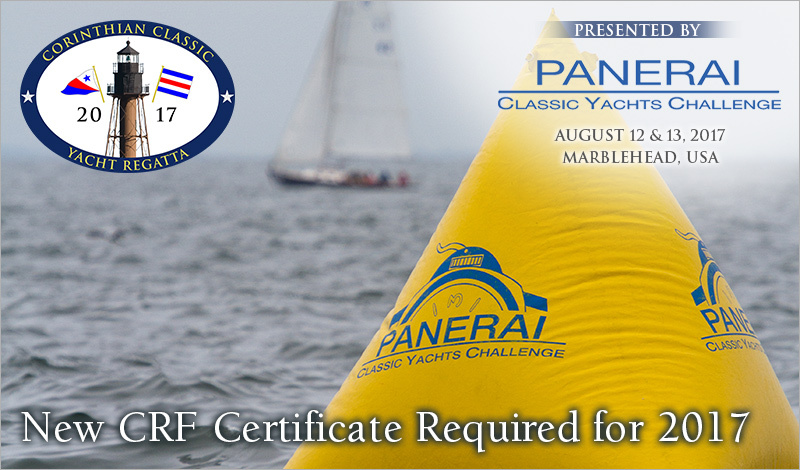 For 2017, an enhanced and revised rating system for participants will be used in our event as well as events across the Panerai North American Classic Yacht Challenge series. We support and salute this MODIFIED RATING PROGRAM now known as CRF MKII. What you will need to do to get a new certificate?